Can you believe we're in December? Where on earth has this year gone? I cant deny that I'm ridiculously excited that Christmas is almost here. It is without a doubt my favourite time of year. Sadly though it isn't my skin's favourite time of year and thats why this months favourites features a lot of moisturising products. This Rose and Pistachio Body Butter from Sanctuary is beyond gorgeous. It smells absolutely incredible. I was looking for something a little bit different to my normal offerings from Soap and Glory and when I spotted this in Boots I was first drawn to the lovely packaging. This is a delightfully thick moisturising butter that sinks into the skin and feels incredibly decadent. This is genuinely one of the nicest fragranced products I've ever used and I will definitely be repurchasing. This body scrub is from the same range as the body butter. This Black Pepper and Ginger body scrub has the same scent as the body butter and is perfect to use in the shower before lathering on the body butter. 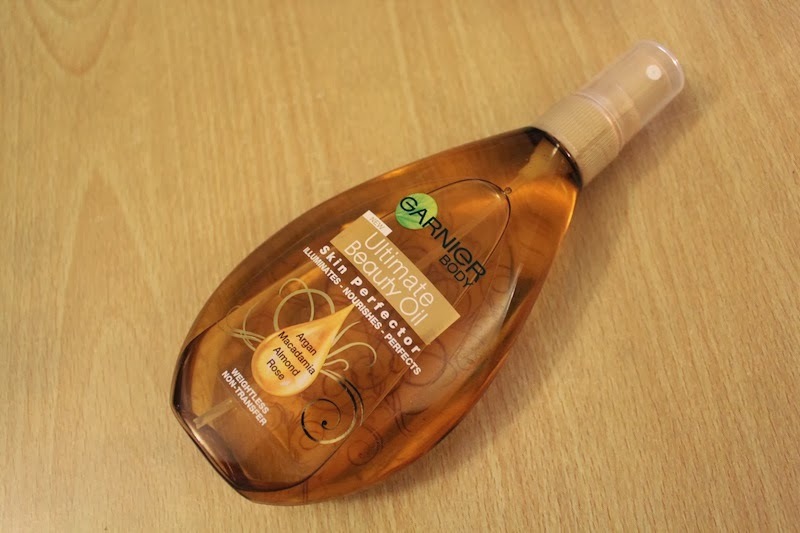 I picked up this Garnier Beauty Oil in Asda on a bit of a whim. Oh my goodness this smells amazing. I don't have too much experience with body oils but this one seems really nice. I like that it has a pump to avoid too much mess and I just love the scent. I think this would be really nice to use on freshly tanned skin in the summer. I've wanted to get my hands on this perfume for a while now. 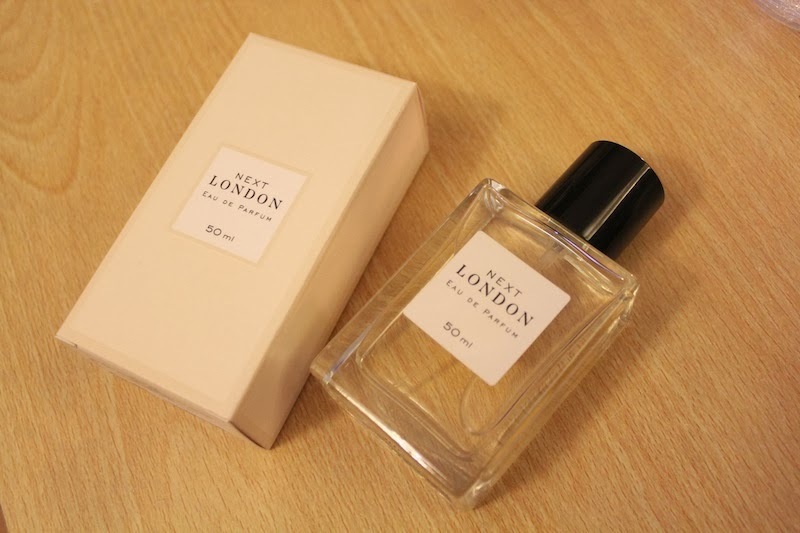 Next London is an exact dupe for the Chloe perfume (it honestly smells EXACTLY the same) I love the packaging and the price tag. This is only £8 a bottle which I think is fantastic. I think that this would make a really nice stocking filler for someone for Christmas. Next up is this cute make up bag from Primark. I've needed a new one for a while but finding one the right size has proved difficult. This one is the perfect size to fit all of my most used products in place. Who doesn't love a tacky make up bag? Apologies in advance for the quite frankly appalling state of my nails. The acryllics are well and truly off after 10 months on having them. The worst thing imaginable happened. I caught one of the acryllics in the car door and it took half of my own nail with it. I had them taken off straight away and I fear that love affair will be over forever. I now have to make do with my own ruined nails and console myself with copious amounts of nail polish. This one is my current favourite. Mary Mary Quite Contrary is a wonderful shade - akin to Models Own Utopia this is a really flattering grey shade with lilac undertones. It lasts nicely and is easy to apply. Last but not least this isn't technically a favourite as I only bought it this weekend. I'm not usually a fan of products that have a really strong rose scent but this heavy duty hand cream called to me this weekend whilst I was buying Christmas presents in the Body Shop. The packaging is really pretty and I can just tell that this is going to be a lovely hand cream. It's all about hand cream at the moment, the cold weather is making my hands rather sore :( I love Crabtree & Evelyn hand therapy.